WHEN COLLECTING DATA ON CONSUMER BEHAVIOR, TUNE INTO THE NOISE--THE PATTERNS THAT DRIVE HUMAN PERCEPTION, ARGUES METHOD’S PAUL VALERIO. This is the newest piece from design and innovation firm, Method, in their10x10 series. Click here to download a PDF of the article. If you were forced to rely on only two target audiences to guide all your future design work, I’d strongly recommend using astronauts and toddlers. Fortunately, the connection between them goes beyond the design of their underwear to the nature of perception and expertise, and in what we treat as valid data, and what we choose to ignore as “noise”--the extraneous details, out-of-category input, the anecdotal tidbits. 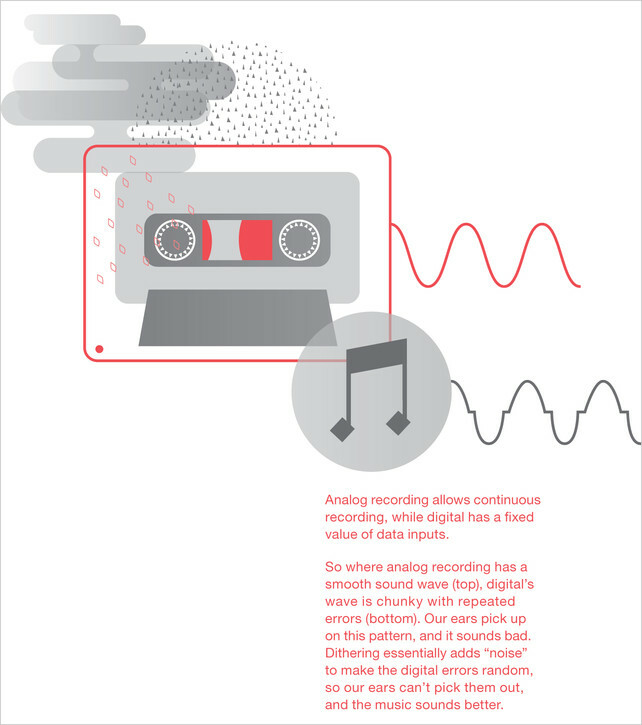 As it turns out, noise is much more valuable for useful design insights than you might think. First, the astronauts. One little-known quirk of the Apollo moon landings was the difficulty the astronauts had judging distances on the Moon. The most dramatic example of this problem occurred in 1971 during Apollo 14, when Alan Shepard and Edgar Mitchell were tasked with examining the 1,000-foot-wide Cone Crater after landing their spacecraft less than a mile away. After a long, exhausting uphill walk in their awkward space suits, they just couldn’t identify the rim of the crater. Finally, perplexed, frustrated, and with the oxygen levels in their suits running low, they were forced to turn back. 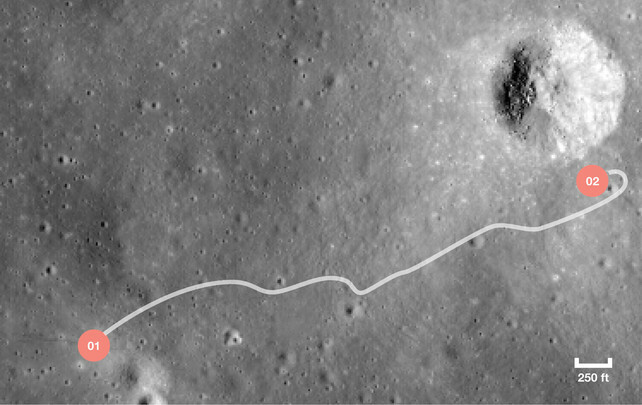 Forty years later, high-resolution images from new lunar satellites showed they had indeed come close--the trail of their footprints, still perfectly preserved in the soil, stop less than 100 feet from the rim of the crater. A huge, 1,000-foot-wide crater, and they couldn’t tell they were practically right on top of it. Why? To account for the role of noise within the essential skill of pattern recognition, we need to remind ourselves how complex seemingly simple tasks really are. 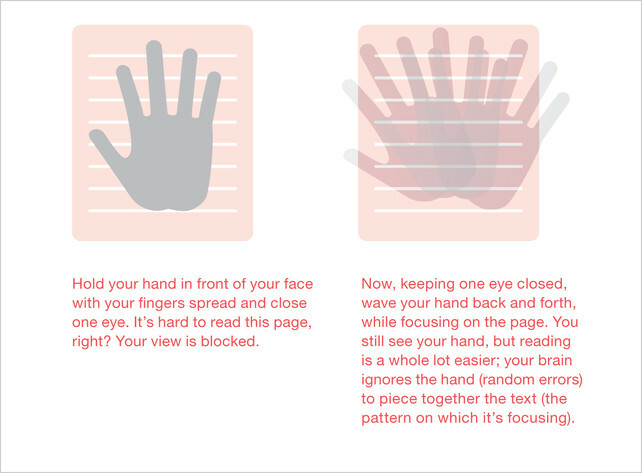 Visually reading a scene, whether it’s a moonscape, a children’s book illustration, a grocery store, or a redesigned website, is an inherently complex task. Whenever people are faced with complexity (i.e., all day, every day), they use pattern recognition to identify, decipher, and understand what’s going on instantly, instead of examining each component individually. The catch is that all of the valuable consumer thought processes we want to address--understanding, passion, persuasion, the decision to act--are complex. Check out how to develop your own "Noisy, Dirty Shortcuts" here. 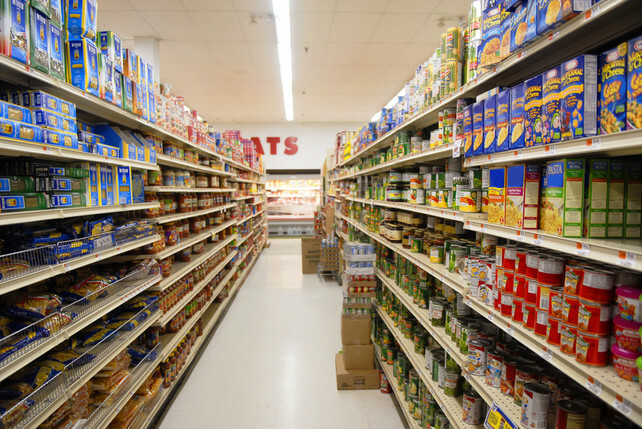 Read aboutMethod’s brand context research technique. No matter what metrics you’re using, consider looking several levels above them--or next to them--to identify patterns that are impossible to see when you’re too close to the subject. By taking a look at the entire picture--instead of isolating a single data point--you open up opportunities for understanding the motivations, reasons, and outlying factors that impact data. Contrary to popular practice of stripping out noise, noise is in fact critical to the generation of deep insights that allow us to design better and more effective brands, products, and services.